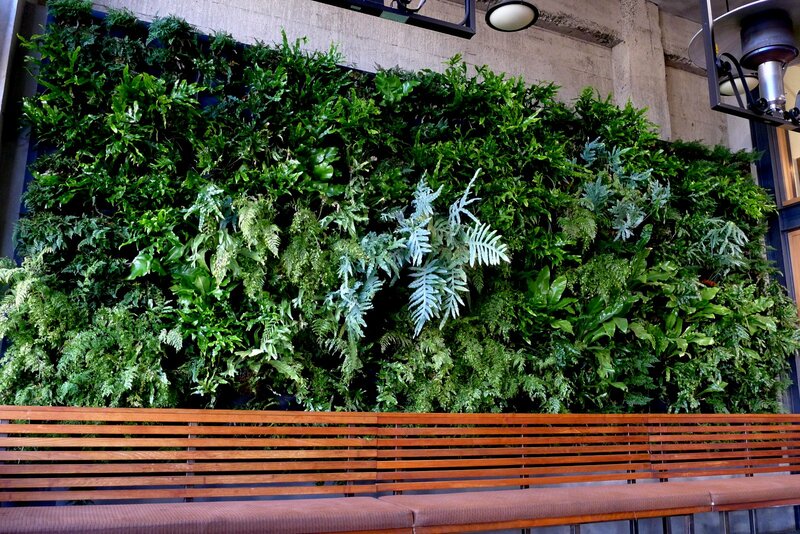 A year ago, PlantsOnWalls installed a 14" x 12" living wall with 360 individual ferns using Florafelt pocket planters for Urban Bistro in Burlingame, California. Now we're back to see how they've grown. 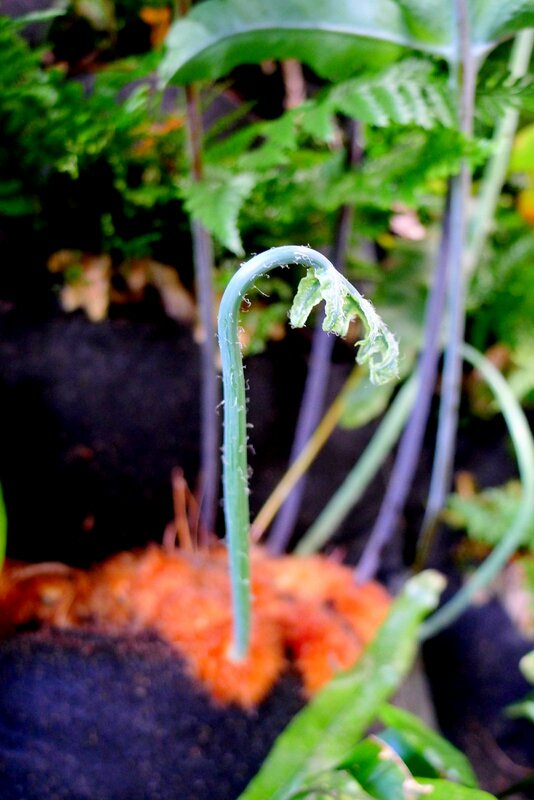 A close look at the blue star fern shows some expansion of its unusual root system. BLUE STAR FERN (phlebodium aureum mandaianum): The Blue Star Fern is a beautiful but rugged fern that makes a vivid accent for your vertical garden. After a few years, the fuzzy orange roots begin to crawl over the felt pockets, creating even more dynamic color contrasts. 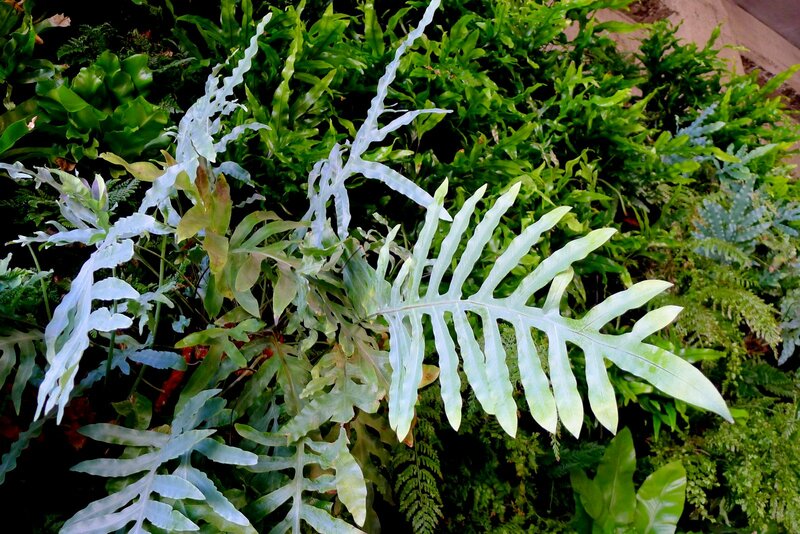 The fantasy-blue color of this easy-to-grow fern is reminiscent of nautical and water-related design, and make it a stunning addition to living walls. The oversized fronds make a bold canvas for the truly striking color. 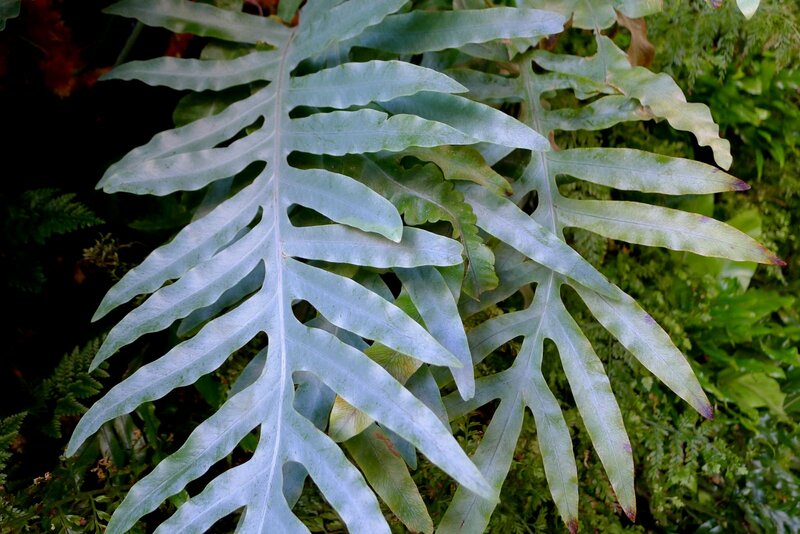 Best grown in shade to part shade, this is a very forgiving fern, provided it is not overwatered, and shows good drought tolerance.